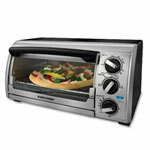 The Hamilton Beach 22504 2-Slice Toaster features the standard side by side setup for 2 slices of toast. The controls are arranged in a very simple manner on the brushed steel, giving this toaster a cool, modern look. The keep warm setting conveniently holds the bread inside until you’re ready to retrieve it. 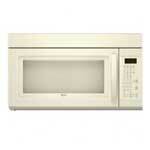 If you’re looking for a low profile appliance that is as useful as it is reliable, this is a great choice. It comes at a great price too. A popular choice for its function and low price, the Proctor Silex 2-Slice Bagel Toaster comes in a cheery red housing that stays cool to the touch. 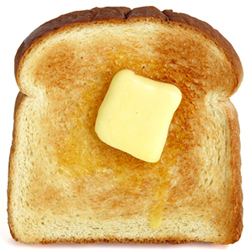 The toast gets a boost up to make it easier to pull out. The bagel setting nicely toasts the inside while warming (not burning) the outside. For easy storage, the cord wraps around the bottom. With 1250 watts of power, the Dualit 27171 can handle defrosting and toasting with ease and efficiency. This attractive toaster has a unique curved design and bright, cheery red color that will stand out in the kitchen. 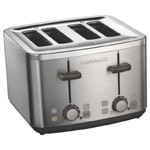 Additionally, the toaster has variable controls and wide slots to handle a variety of bread sizes. A nicely compact appliance with stainless steel accents, this Cuisinart model offers 7 shade options and a slide-out tray. The controls are remarkably simple, and the high-lift carriage makes it easy to lift out bread without it getting jammed. We appreciated not only its great function, but also its clean, classic look. For a no-fuss, affordable toaster, this one is ideal. The T-fal Classic Avante 2-Slice Toaster has slots slanted to face the front, which makes it easier to remove the bread. It’s also pretty sharp looking, with its stainless steel accents over a black housing. An anti-jam function prevents frustration, and the high-lift carriage makes it easier to pull out even small, thin pieces. Its settings include bagel, reheat, and cancel. Featuring a classic design in stark black with a silver dial, the Waring Professional Cool Touch Toaster has bagel and defrost settings, indicated by LED lights. Whether you’re toasting thick artisan bread or thin slices, the carriage automatically adjusts itself to keep the bread centered so it browns evenly. We were pleased by its sturdiness and efficiency. 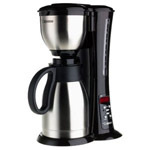 The one-touch design of the control panel makes programming the Black & Decker TR1256B simple. Your choices are displayed by LED indicator lights too. 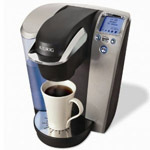 The slots accommodate both thick bagel halves and thin slices with automatically adjusting bread guides. The defrost setting is convenient if you like frozen waffles or pastries for breakfast. We liked both the performance and the sleek, narrow design. 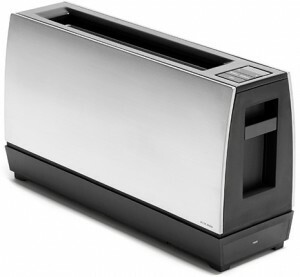 We were pleased with the many features of this Oster TSSTRTS2S2 2-Slice Toaster. It offers bagel, frozen, and cancel buttons. There is also a convenient cord storage to keep the countertop looking tidy. We liked the extra-wide slots that allow for both thick bagels and artisan bread and thin sandwich bread. The toaster has an attractive stainless steel housing. 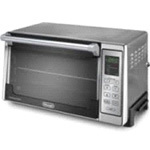 This long, narrow appliance from Cuisinart features one long slot with a motorized lift and an LED countdown display. If you like eating homemade bread, then you’ll appreciate being able to toast it in the long slot. The toaster operates quietly and only beeps when your toast is ready. 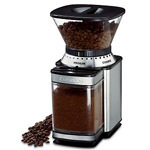 The Cuisinart CPT-2000 has a nifty modern design and takes up little counter space.